Enriched with grape seed oil and shea butter, this light hand cream nourishes, protects and delicately perfumes the hands with a sweet, enveloping floral scent. 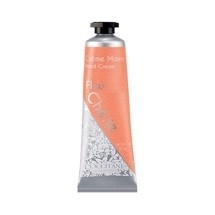 Contains neroli and orange blossom absolute from the Mediterranean. I have a few of these which I was lucky enough to win on Ebay and I love the feel of the cream as it is not gloopy yet soaks in fast and leaves my hands smelling lovely and feeling soft and well moisturised. I love the gentle neroli and orange scent on this one as it gets rid of any left over cooking smells too. Fab scent, lovely texture, absorbs quickly, good price and lasts ages. I loved this, the scent is so beautiful, nice and soft scent that lasts for ages on the skin. Hands feel so soft and moisturised, was wonderful to use. The bottle is nice and great to carry about. It works wonders on moisturising hands, it also smells uplifting too! "I have a few of these which I was lucky enough to win on Ebay and I love the feel of the cream as it..."